Too hot, too cold, too hot? Not anymore. The Kelty Boy's Youth Tru.Comfort 20° Sleeping Bag lets little ones sleep with all the comforts of home. Built with an oversized mummy fit, 2-layer blanket system for unique temperature control, and Comfort-Tuck zipper, these bags keep your kids comfy all night. Happy kids = Tru.Comfort kids. Too hot, too cold, too hot? Not anymore. 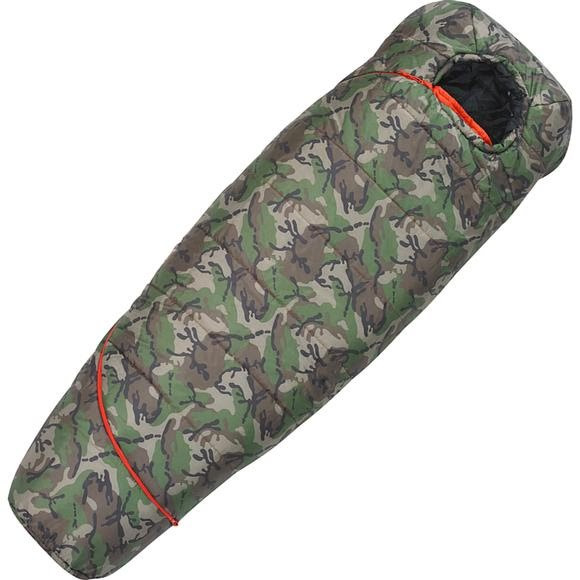 The Kelty Boy&apos;s Youth Tru.Comfort 20° Sleeping Bag lets little ones sleep with all the comforts of home. Built with an oversized mummy fit, 2-layer blanket system for unique temperature control, and Comfort-Tuck zipper, these bags keep your kids comfy all night. Happy kids = Tru.Comfort kids. This innovative feature lets you put your feet out on warm nights.